This week, we're celebrating World Space Week (#WSW16). 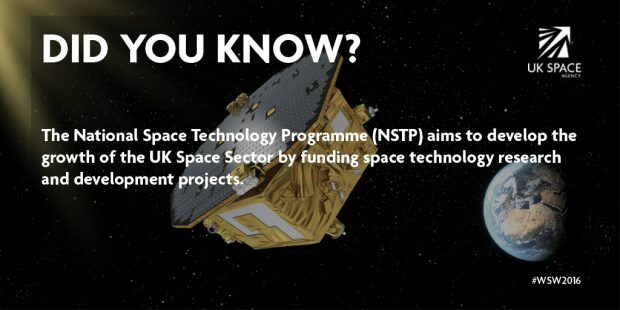 Today we're focussing on the National Space Technology Programme (NSTP). See below a case study of a successful project from the University of Glasgow. We have taken a conceptual idea for a fibre sensor and experimentally demonstrated displacement measurements better than 0.01 nm. At very low frequency (1 mHz), where measurements are extremely challenging, we have demonstrated sensitivity of better than 0.4 nm/√Hz – a factor of 5 more sensitive that the already impressive capacitive sensors used in LISA Pathfinder. now seeing further-reaching implications as interaction with industrial partner’s increase. Our knowledge of the technical needs of a spaceborne gravitational wave observatory, combined with expertise in precision metrology, led to the idea of a novel optical fibre displacement sensor that could perform to a higher standard that state-of-the-art capacitive sensors and with several advantages. Such a sensor, it is expected, will be of wider interest for both space and ground based applications. 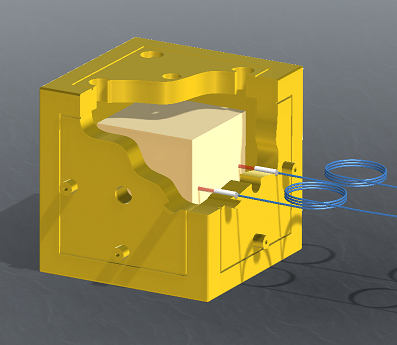 The sensor head is compact – millimetre by centimetre scale – and is passive in that it has no electronic elements at the head. It has a fibre tail, and so can be fitted to apparatus where access is limited. The sensor head is low cost and so multiple sensors can be deployed in an array, again increasing the usefulness of the sensor. There is now the potential for new areas to benefit from this technology. 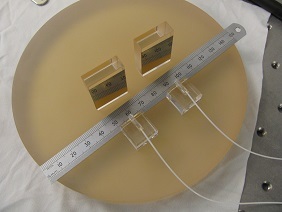 The sensor is flexible from a design perspective, and further work can tailor it to use in other applications where different requirements exist, e.g. higher frequency readout, different sensitivity requirements, and sensing over different length ranges. Considerable knowledge has been generated through this work, and this will provide valuable leverage when pursuing new opportunities to generate impact using this technology. The work will be published to generate awareness, and discussions for collaboration will continue with industrial contacts that have shown interest in the technology.